(Chicken Exploitation - Egg Production - 29) This is another hen with an eye problem. She has a growth over her eye which has remained untreated. 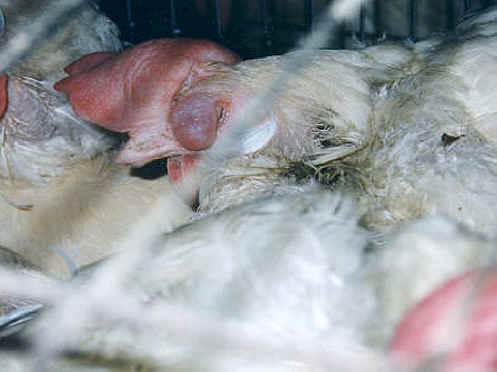 This is one of the reasons that we believe that the animal agriculture industry is evil.